I have a woods full of ramps and find that if you wipe them as you pull them up, they are almost completely clean (see picture, straight outta the woods). If you don't wipe them as you pull them, they are a bear to clean. I am going to try the pesto tonight and report back. 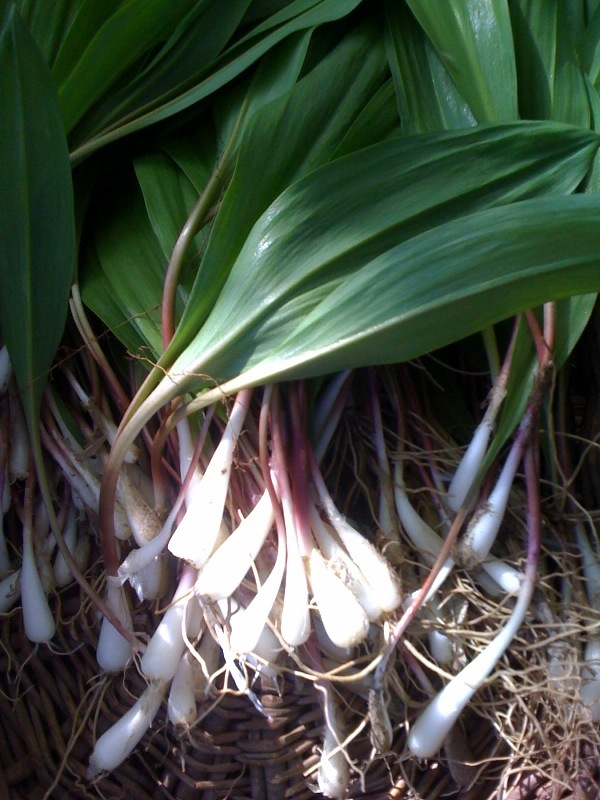 Mmmmm...ramps! I might have to grab a bag and go for a hike this afternoon and see how far along they are in my neck of the woods.